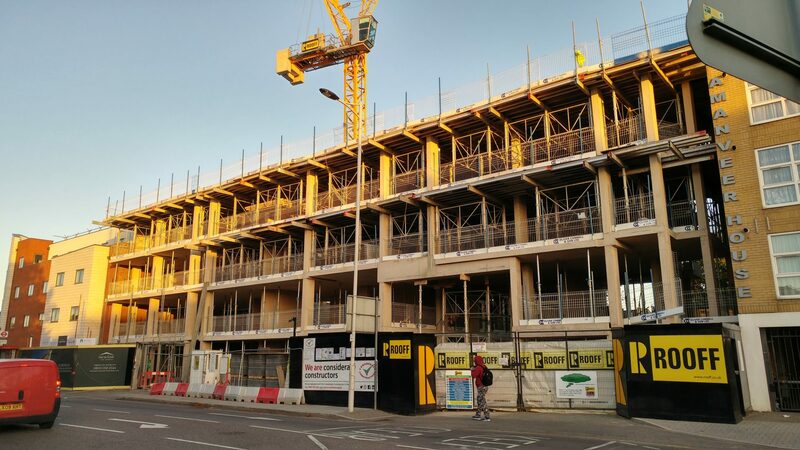 We have recently begun works on our project at Green lanes Ilford, Lord Napier. 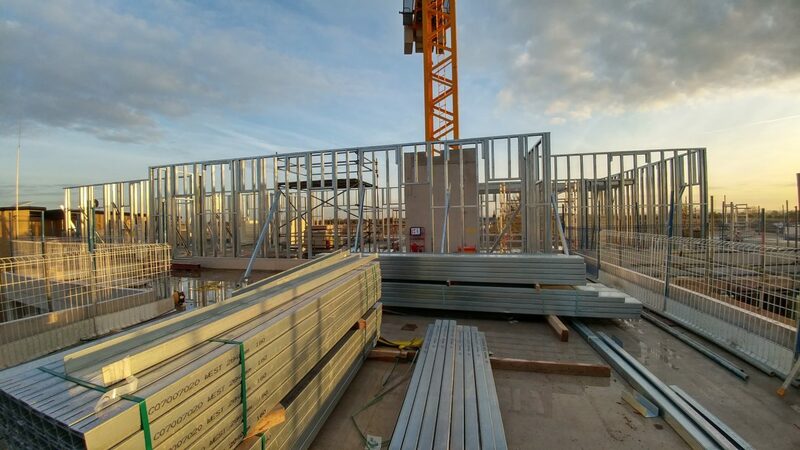 This is a newbuild 5 storey apartment block for our fantastic client Rooff Ltd.
We are currently installing the SFS to the external facade and will soon be installing the load bearing structure (LBS) on the top of the building forming the top floor apartments. 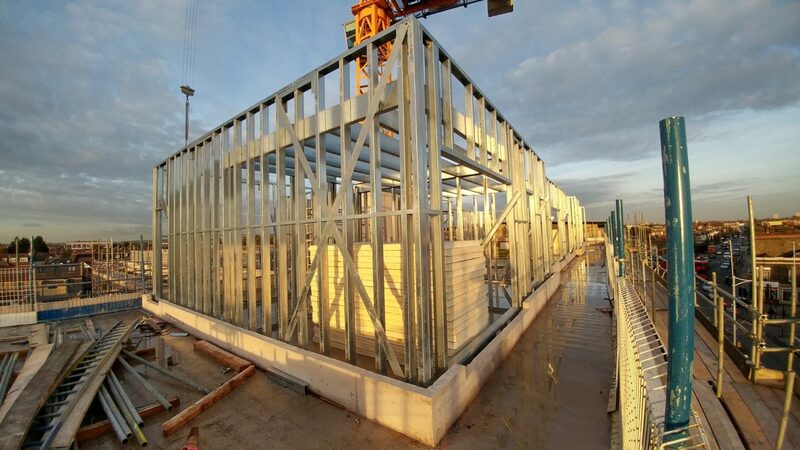 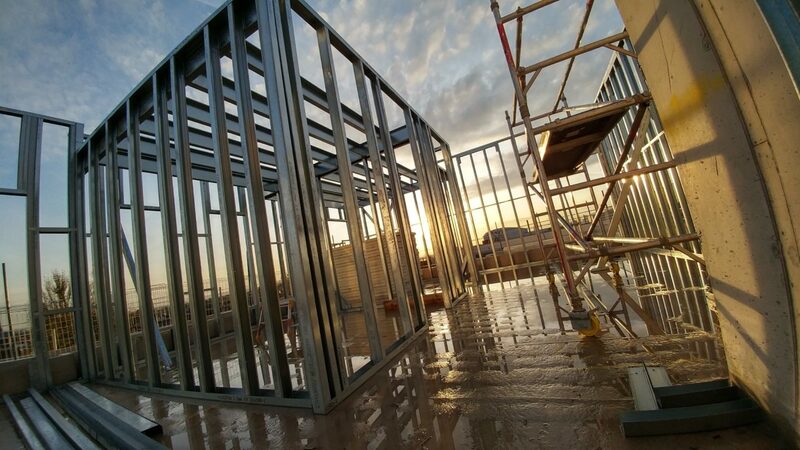 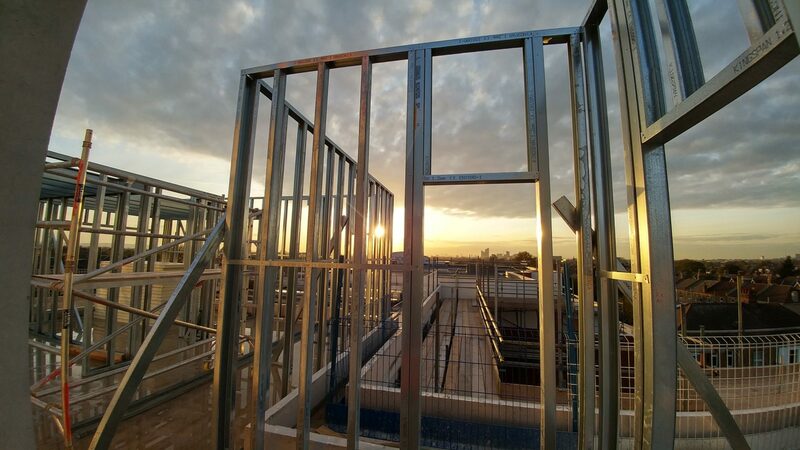 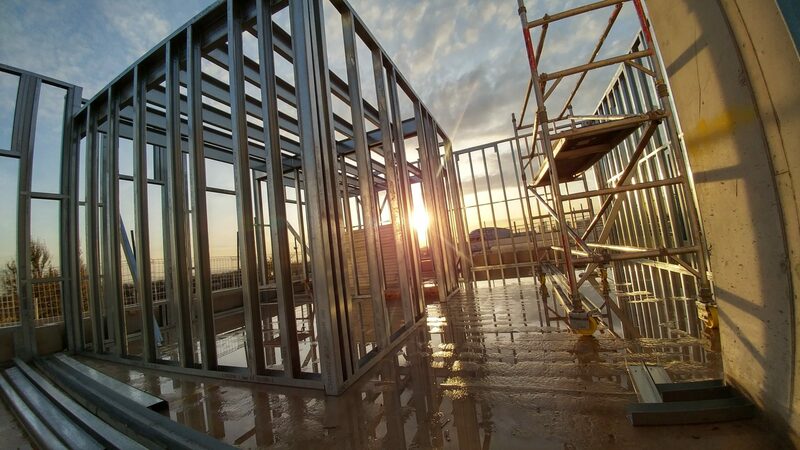 LBS is a self supporting structure formed from load bearing metal sections, we will be building the walls and roof when it arrives on site in the next few weeks. 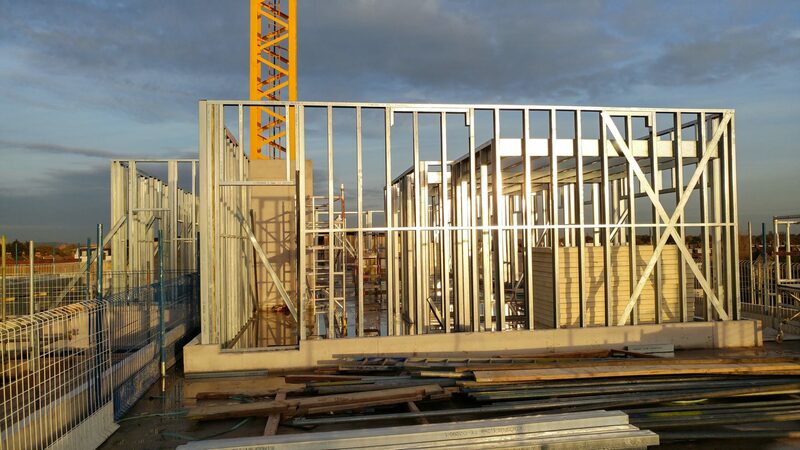 We are also installing the kingspan insulation, brick tie and cp board to required locations. 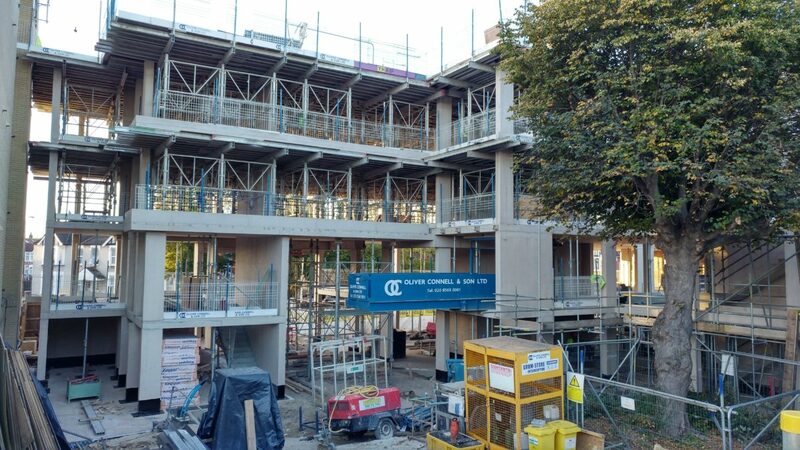 There is a small area of through coloured render to the external side of one part of the building and the front face of the building will be mostly brickwork, which is currently underway. 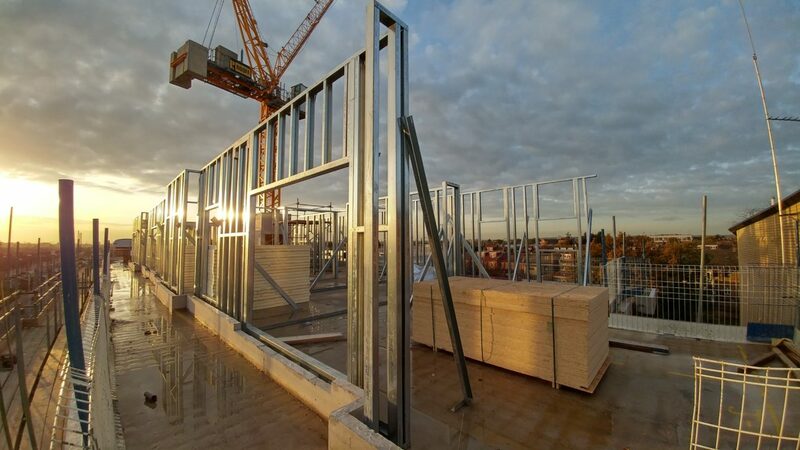 We look forward to working with Rooff again on this project with them.